Head coach Mike Babcock and assistants Ken Hitchcock and Lindy Ruff will return to the Canadian bench in hopes of defending the men's Olympic hockey gold in Sochi, Russia, in February. Claude Julien, head coach of the NHL’s Boston Bruins, will be the third associate coach on Babcock’s staff for the Olympic tournament, which begins Feb. 12. Canada opens the tournament the next day against Norway. "Canada’s coaching staff has a great deal of international and professional experience for the challenge that awaits us in Sochi," Team Canada executive director Steve Yzerman said in a statement released by Hockey Canada on Monday. Babcock, 50, has guided the Red Wings to the playoffs in each of his eight seaons in Detroit and won the Stanley Cup in 2008. The Saskatoon native is the only coach to earn membership to the International Ice Hockey Federation triple gold club, prevailing at the 2010 Olympics and 2004 world championships along with his Cup victory. 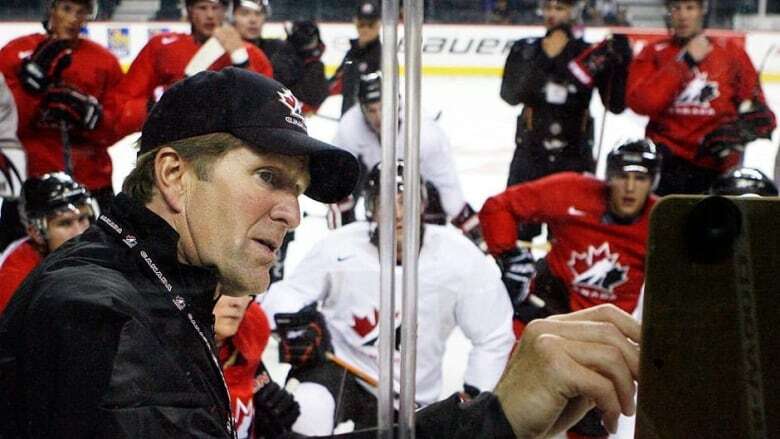 "I am extremely proud to represent my country and coach Team Canada," Babcock, who also led the Canadian world junior squad to gold in 1997, said in a statement. "To win gold in Canada [in 2010] was a dream come true. "In February, we will have a whole set of new challenges with a new group of players and staff." Hockey Canada also announced Monday the roster for its Olympic orientation camp. Forty-seven players will attend the camp from Aug. 25-28 in Calgary. Teams will be asked to submit a 25-man roster, which includes two more players from the 2010 Games. Each country can now name 22 skaters and three goaltenders. In Sochi, Hitchcock will be seeking his fifth gold medal and sixth overall in international competition with Canada. The 61-year-old Edmonton native also was part of the Olympic coaching staffs in 2002 in Salt Lake City and 2006 in Turin, Italy. Hitchcock's international resumé includes two world championships (2002, 2008), World Cup of Hockey (2004) and world juniors (1988). Ruff, 53, won a silver medal with Canada's entry at the 2008 worlds in Switzerland. The native of Warburg, Alta., was named head coach of the Dallas Stars on June 21 after 15 seasons running the bench in Buffalo and becoming the winningest coach in Sabres history. He trails only Al Arbour for the most games coached with one franchise and most wins with one team. Ruff played 691 NHL regular-season games including parts of 10 seasons with Buffalo and three seasons for the New York Rangers. The 53-year-old Julien brings more than 700 games of NHL coaching experience to Team Canada in addition to four stints behind a Canadian bench. As a head coach, he won a bronze at the 2000 world juniors and gold at the 1997 Three Nations Cup with the Canadian under-18 team. Julien was an assistant coach at the 2006 worlds before winning silver at the 1999 world juniors. The NHL first competed at the Olympics in 1998 in Nagano, Japan. This time, the league will shut down on Feb. 9 and resume Feb. 26, three days after the gold-medal contest. Canada won gold in Salt Lake City in 2002 and finished seventh in Turin four years later.